Detroit has historically been seen as the last station on the Underground Railroad yet some of its most noted residents including merchants, priests and illustrious names like Brush and Macomb belonged to slaveowners. 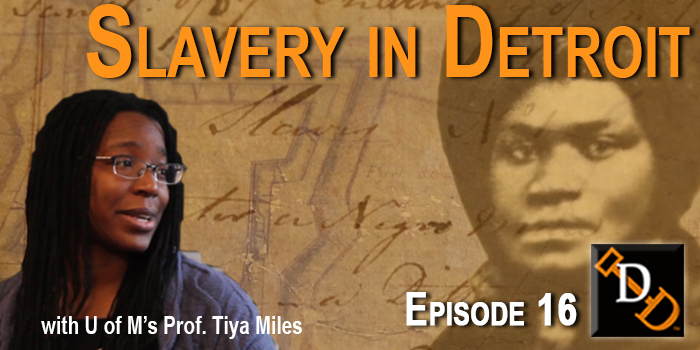 Digging Detroit meets Prof. Tiya Miles of the University of Michigan and her team of students uncover a history of the colonial city that few remember or care to admit. But with the past comes inspiration from Elizabeth Dennison Forth, a former slave who became a wealthy businesswoman and landowner–whose homestead is now a parking lot. Prof. Miles takes her students on a tour of the former frontier town. 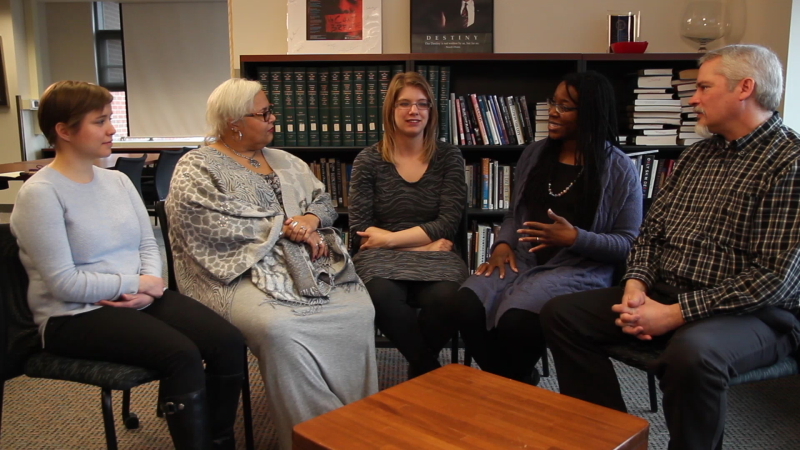 Importance in addressing Detroit’s past as a slave-city. Posted in Abolitionism, Colonial Detroit, Detroit History, Native Americans, Slavery and tagged Brush, Detroit plantations, Detroit Slavery, Digging Detroit, Macomb, Mapping Detroit Slavery, Northwest Ordinance, Pete Kalinski, Slavery in Detroit, Tiya Miles, University of Michigan.